» Station Updates: Office Hours and Free Money! Station Updates: Office Hours and Free Money! Put on your party boots, WRBC is getting a facelift. This semester we’ve made two major updates. Radio is getting out of and into the station in a bigger way than ever before. Do you love hanging out with your professors after class? 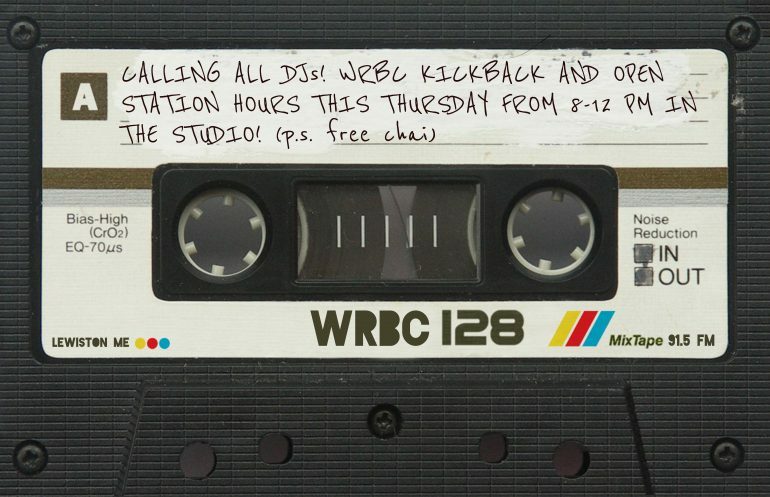 Don’t you wish your professors were the board members of WRBC and their office was the radio station and instead of talking about Anarchism in the 1700s you were chilling, sometimes with food, and talking about music or literally anything you wanted to? That sweet dream is now a sweet sweet reality. Come through to 31 Frye Street Tuesday or Thursday every other week. There is a schedule at the bottom of this post. The money isn’t actually free. But we have implemented a ride reimbursement program for concerts in the area. Interested in an upcoming concert? Email the listserv and see if anybody else is A. Interested in joining you in YOUR vehicle or B. Has a vehicle, is also interested, and wants to take you with them! In order to get reimbursed for gas, you must take at least two other people with you who have responded to your email. They cannot just be your friends, include the greater WRBC community please! Also, in order to get reimbursed, please fill your tank BEFORE you leave for the concert, then fill your tank again AFTER returning to Bates post-concert. Keep the receipt from the second gas fill and submit that receipt to the treasurer during office hours. Without a receipt you cannot get money!!! This is important!! !